If you don’t follow me on Instagram, I’ve been having fun with a little photo project over there. 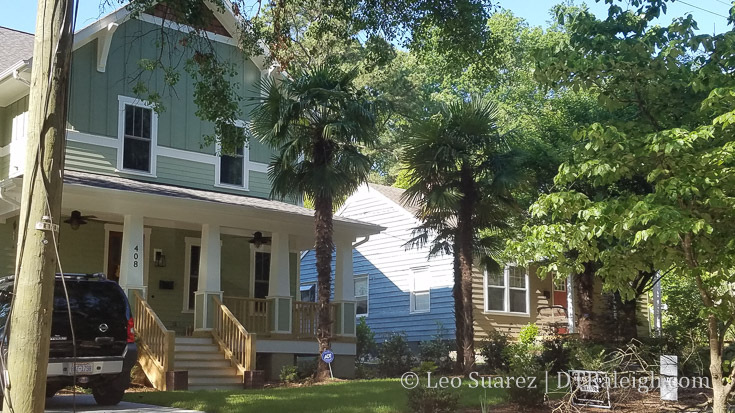 I’ve been cataloging the location of palm trees in and around downtown Raleigh. More palmetto than real palms, spotting the fronds around town gets me thinking that they could have been fashionable at one point in time. Someone more knowledgeable could probably weigh in on the difficulty of raising a palm in Raleigh but it seems possible, yet not widespread. The rolling hills of Raleigh feel like a connection to the mountains but the palms get me thinking eastward, towards the coast. It reminds you that we sit the in the North Carolina Piedmont, with bits of both east and western parts of the state. I put together a quick website to highlight and map the ongoing project. Feel free to follow and/or contribute in your own way. Go palms! 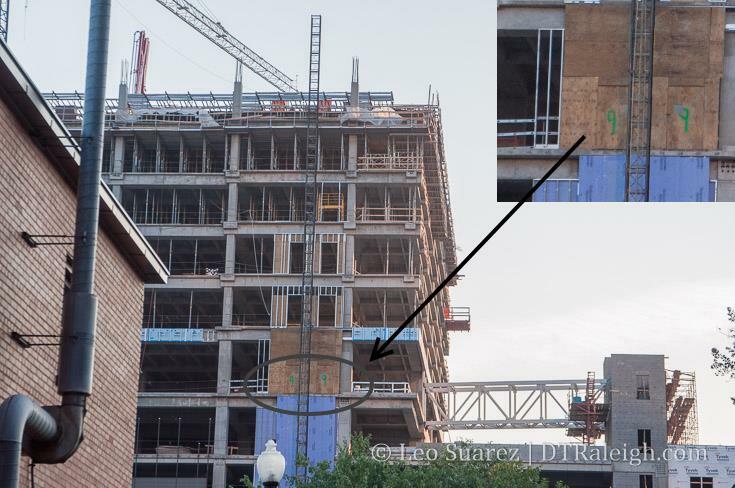 The Edison Apartments, or more officially the Edison Lofts (official website), are coming along. No reason this project isn’t wrapped up this year, hopefully in the first half. They are now pre-leasing units. I try to change up the general location of each blog post in order to touch all sides of downtown Raleigh as the months go on. 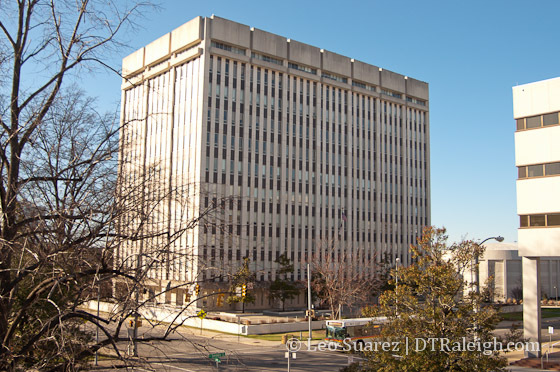 One area that hasn’t gotten much love on this site is the State Government campus, the collection of buildings to the north of the historic Capitol building. Home to thousands of state employees, very little has changed here in the eight year lifespan of this blog. The Green Square project being possibly the only exception, the state government campus isn’t seeing the same revitalization that the rest of downtown Raleigh is. And why would it? Sometimes called, ‘The Black Hole’ of downtown, the campus operates on a 9am to 5pm, Monday to Friday schedule creating a ghost town outside of those hours. There really is no reason to be there unless it’s a protest or you’re doing work with the state. I could almost just ignore this area on the blog as most of it is pretty much owned by and operated by the State of North Carolina and the planning dynamic and motivation is a universe apart than that of the City of Raleigh. It just feels more difficult to get the equivalent planning information from the state than from the city. However, the state government campus can’t exist in it’s current form forever and I’m secretly cheering for an overhaul of that campus. This is why Governor McCrory’s mention of “Project Phoenix” has piqued my interest. Project Phoenix looks to replace or completely overhaul some of these buildings and bring them up to modern standards. In addition, the Governor has been quoted as saying a newer campus will break away from that single-use environment and include private businesses with hopes of generating activity outside of typical work hours. 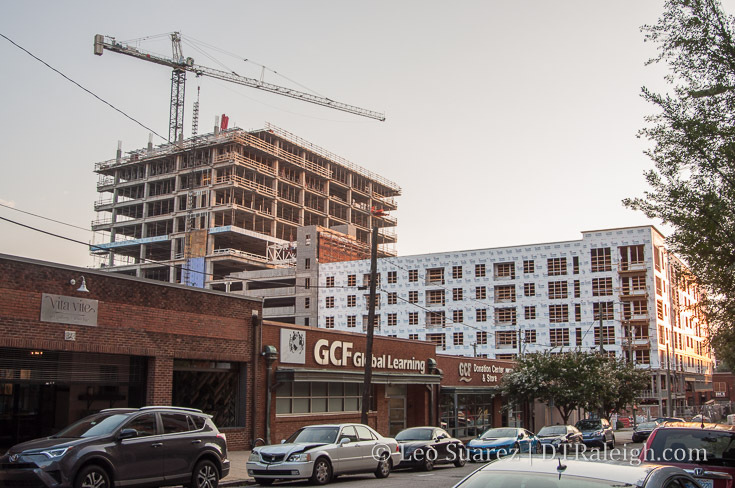 Failing HVAC systems, faulty fire alarms, water seepage and asbestos are threatening the safety and security of nearly 10,000 state government workers and contractors who commute into downtown Raleigh each day. 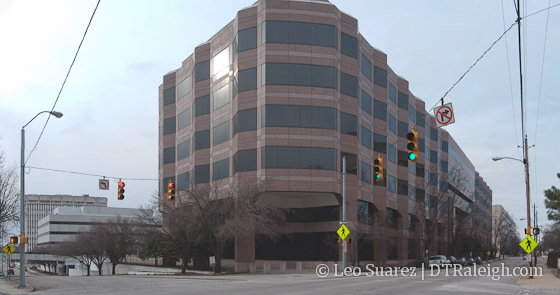 Some buildings are in such poor shape that state agencies have started looking for leased office space instead. 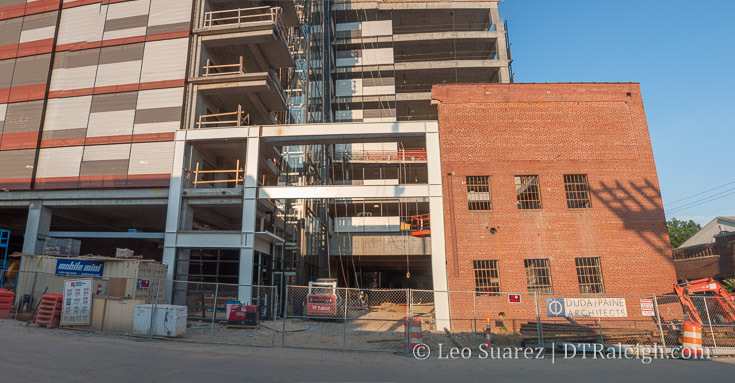 According to a recent State Construction Office report, North Carolina is facing more than $3.9 billion in building deficiencies statewide due to deferred maintenance and repair issues, much of that among the state government’s downtown complex in the Capital City. 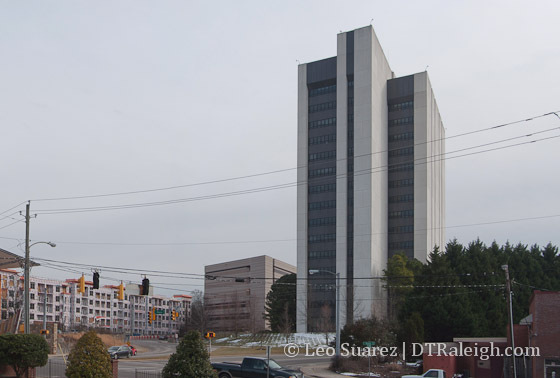 Two buildings mentioned during press conferences and interviews were the Albemarle Building and the Archdale Building, which apparently are in such bad shape that the idea of demolition is on the table. 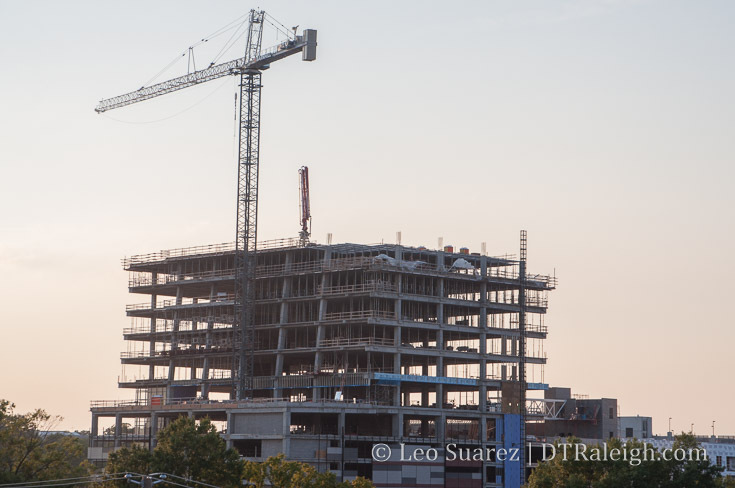 It’s all talk at this point as plans or concepts have not been released and there’s a State General Assembly to go through but the project could have an astounding impact on downtown Raleigh. 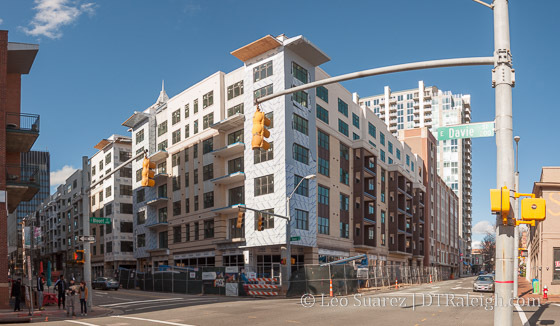 If the state government campus wants to be woven into the fabric of the other districts in downtown Raleigh, the Fayetteville Street area would be the easiest as a north/south traffic flow already exists. With that in place, access to Moore and Nash Square would follow and even the future Raleigh Union Station. It’s unfortunate that connectivity to Glenwood South to the campus is a much bigger challenge. The huge gap between Jones Street and Peace Street, created by the railyards and Capital Boulevard, is a barrier for east/west traffic flow. Perhaps one day if thousands more workers and maybe residents are here, some bike/ped bridges could jump across the railroads and Capital Boulevard. Lots of room to dream here. We’ll keep an eye on this one. I sometimes stray the blog content on topics that are just outside downtown but for the majority of my time, I focus on just the downtown area. That doesn’t mean though we shouldn’t pay attention to what is happening in the ring around downtown Raleigh. 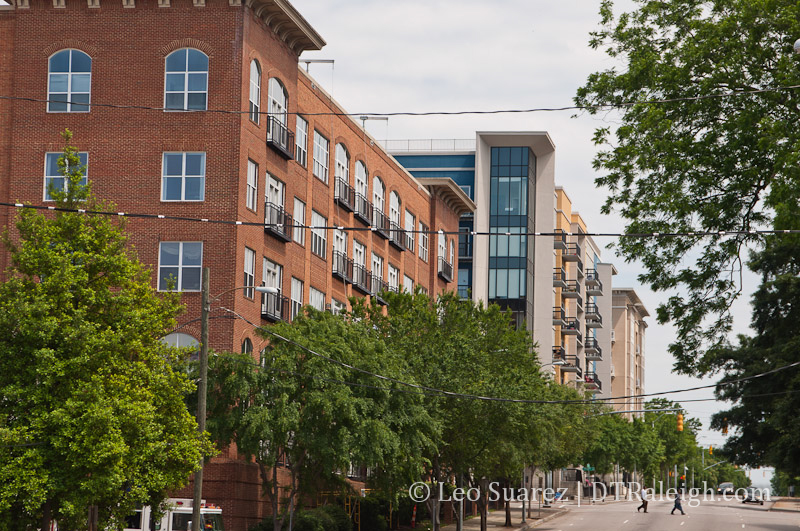 The neighborhoods have their own story and influence downtown in subtle ways. The issues are all different and vary from neighborhood to neighborhood. Topics like historic preservation, new economic development, transit, and affordable housing are some of things being discussed just outside of downtown. This isn’t to say that this blog will start covering those things and I’ll always maintain a hyper-local focus. 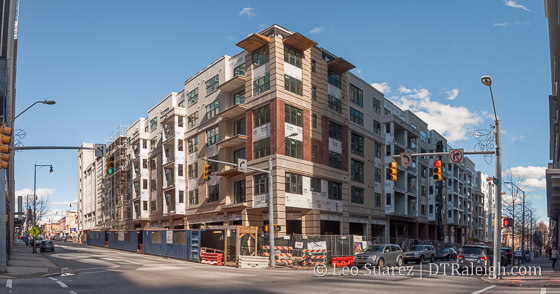 Rather, while downtown is enjoying the success of the revitalization efforts that took place in the early 2000s and is currently making plans to move to the next level, it’s the adjacent neighborhoods that are starting to get attention. 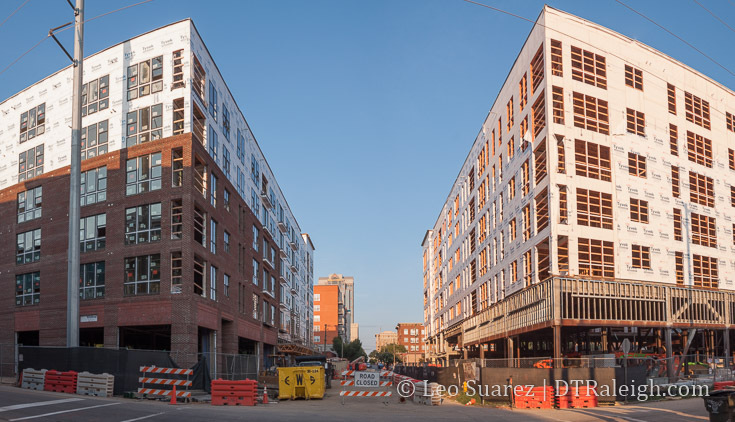 The neighborhoods, slowly, are firing up their own economic engines and where before people came into and out of downtown we have a situation where destinations lay inside and just outside downtown. The neighborhood bar, bakery, or shop is a next wave of trend that I think we’ll be seeing in the next 10 years, all while downtown continues to grow. The mapping project also helps myself and readers with a page to point to when talking about new developments and neighborhood impacts/planning. Play around and enjoy! As always, the project is open-source and I show my neighborhood data on GitHub. Contribute or use it for your tech project. Throughout the summer of this year, I’ve been part of a competition that started in April and ended yesterday with my team claiming victory. The North Carolina DataPalooza is an open-data competition where developers and entrepreneurs use open data to solve some of society’s problems. Hosted by the entrepreneurial co-working space HQ Raleigh and Forward Impact, NC DataPalooza was unique in that it was the first ever region-wide event of this type in the country. My team’s idea? To help people navigate urban areas, showing them the best possible parking locations and offering wayfinding to their end destination. Our smartphone application, still in the prototype phase, is the first step in implementing this process. We also have a nice list of features that will make the application very helpful. If you don’t already know, parking is somewhat of a fascination with me. 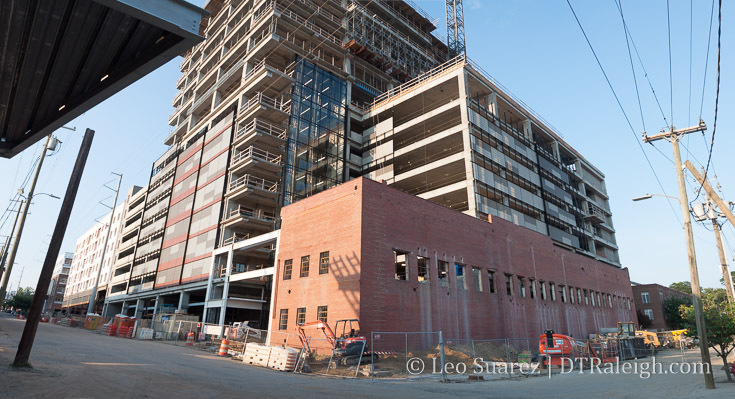 Earlier this year, stories like these arose in conversation with other downtowners. 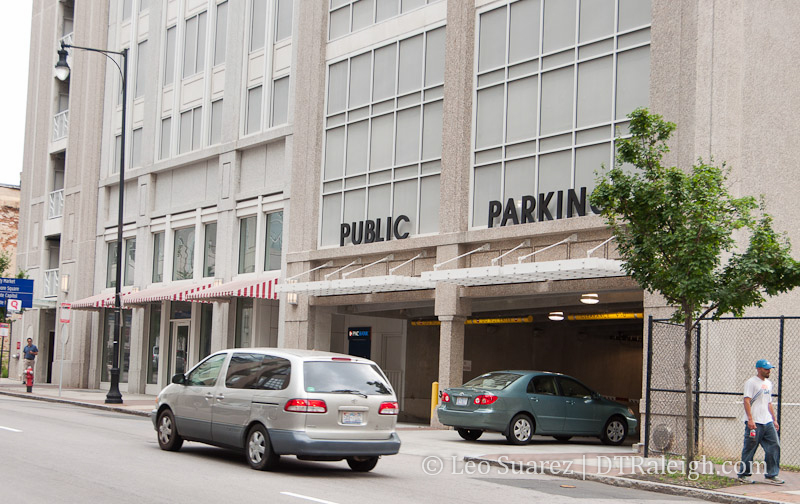 Parking in downtown Raleigh turned out to be a real annoyance to a lot of people. The ones that didn’t have a problem with parking sounded like mathematical magicians. Parking is easy! City decks are free for the first 15 minutes then $1 per 30 minutes after that. They cap you at $12 but it’s cheaper to park on the street for 25 cents per 15 minutes. But don’t go over the limit which varies between 15 minutes and 2 hours. SO. EASY! Whether you get it or not, the urban parking experience, when compared to the suburban experience, will always be more difficult. Hearing complaint after complaint, I found myself discussing this more with a group of Downtown Living Advocate (DLA) members. We formed a team and started looking into it. We were motivated by finding a solution towards lowering the bar and making parking easier for casual visitors. Hopefully, this would result in citizens being more confident in navigating downtown Raleigh and possibly increasing commerce. It turns out this issue is not unique to us. 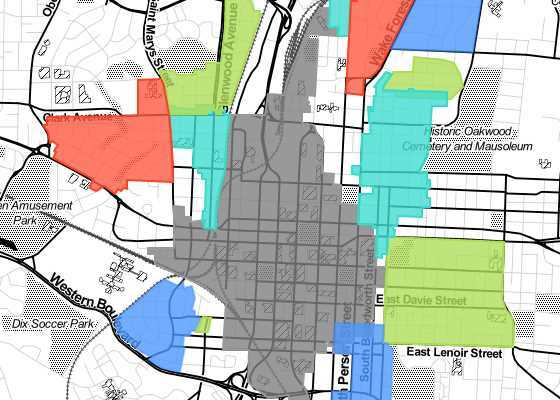 Throughout the summer, working on this Parking Initiative we found that other areas have the same parking complaints and issues as downtown Raleigh. There are areas around the triangle and cities around the southeast that echoed Raleigh in a very similar way. All of this research has been an integral part of our winning the NC DataPalooza. We have a busy few months ahead of us as we build up the prototype application, formalize our new company, and move towards launch. I think I speak for the team when I say “Thank You!” to everyone behind the NC DataPalooza, our advisors, and the people behind the City of Raleigh who we’ve worked with. We feel our approach is truly unique compared to any solution out there so stay tuned, Raleigh. The Merrimon-Wynne House, one of the historic mansions along Blount Street, has been bought and is being renovated for use as event space. With their website claiming that they are already taking bookings in 2014, this looks like a very positive sign for the 4,800 square foot home. The website shows new floorplans for the house with large, open rooms on the first floor and bridal suites and dressing rooms on the second. It doesn’t appear that a large amount of landscaping will be done to the property around it with the renderings suggesting wide open green spaces compared to lush gardens or trees. I was fortunate enough to tour the house on one of the Oakwood Candlelight tours a few years ago. The house really is a gem on Blount Street and I hope we see other renovations for the large houses nearby. The renovations, from what I know, will have to consist of lots of utility work as the house was moved in 2008 from its original site on North Wilmington street to its current site on Blount Street. Sitting lonely on a new foundation, the house had no plumbing, electric, and other modern amenities connected while I toured the house. 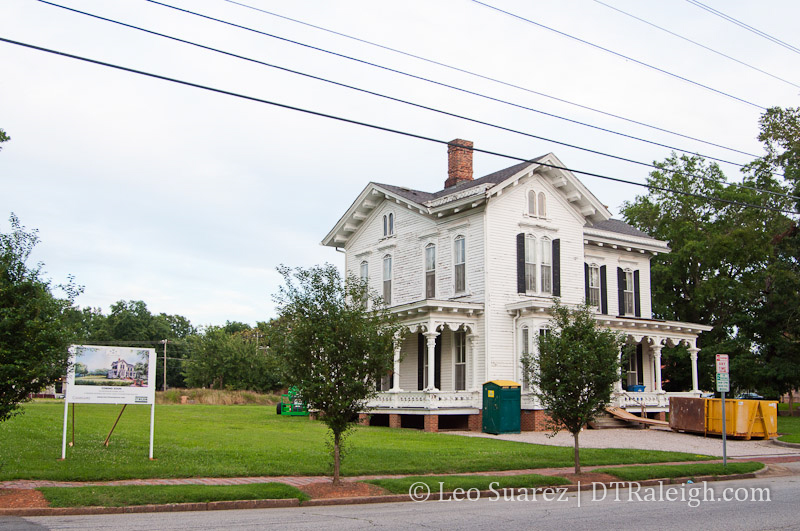 For a great writeup on the history of the Merrimon-Wynne House, including photos of the inside, jump over to this post on Goodnight, Raleigh.